The Regional Arts Council for Kings County in the Annapolis Valley, Nova Scotia, Canada. Local artist Steven Rhude explores Regionalism in "Canadian Gothic". 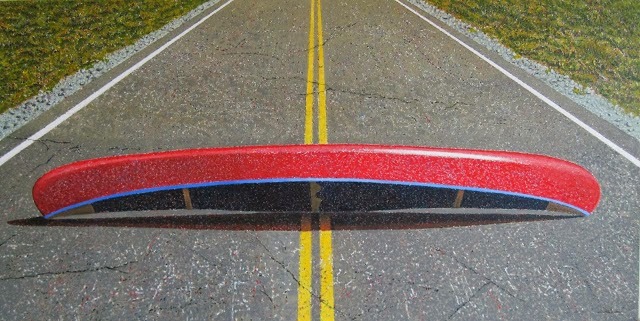 His most recent works are on display at Argyle Fine Art, Halifax. Come meet Steven and see his works on November 16th 1:30-3:30pm. Visit Steven's analysis on his blog. INTERMEDIATE PRINTMAKING: (Collography) with Bob Hainstock. In this 6 week course participants will explore some of the many options for building unique printing plates from fabrics, textured papers, plant materials, metals or wood, as well as printing small varied editions from the plates. A detailed course outline will be available. About the Instructor: Bob Hainstock has been teaching printmaking and painting throughout Atlantic Canada for the past 15 years. He is a graduate of the Nova Scotia College of Art & Design (NSCAD). His work is represented in private and public collections across Canada and the United States, as well as Asia and Europe. On October 3rd-5th, Alliance of Kings Artists' Administrator was a delegate at The Georgetown Conference in PEI. This conference endeavoured to harness the spirit that exists in rural communities and arm local leaders with ideas that they can transfer to their own communities. You can learn more about the conference here. I attended the conference representing AKA, so I had my antenna up for any mention of arts and culture throughout the duration of the conference. I came across many examples of people doing interesting things in the cultural sector in rural communities across Atlantic Canada. A few I’d like to share with you are…. Small Halls festival – a music festival in PEI that utilizes all of the small venues across the province, including churches, community halls, small theatres, and cafes. The festival features both established and emerging musicians, and has gained global recognition – now other countries are catching on, and organizing their own small halls festivals, using PEI’s model as a touchstone. Rising Tides Theatre – a small theatre that has put Bona Vista on the map as a cultural destination. It’s considered a major force in the community. Artists on Main Street – an artist cooperative that pooled together funds and created a shared gallery space on the town’s Main Street in Montaque PEI. They also organize visual arts events throughout the year. Kings Playhouse – the venue of the conference was inspirational. The town of 700 people came together when the playhouse burnt down in the early 80s to make sure it got built again. It’s considered an important part of the small community, and is largely what contributed to Georgetown getting the number 1 designation as Maritime’s Cultureville. What I found even more interesting, however, was the fact that almost every presenter – from the public realm, the private sector, and the nonprofit sector, mentioned the importance of arts and culture in making liveable, healthy, and vibrant communities. Every sector recognized the importance of honoring the unique heritage of our communities, and many presenters alluded to culture being the heartbeat of communities and an economic driver. My favorite presnter was Zita Cobbs, who developed the Fogo Island Inn, which is a luxury inn that ‘looks to the future, while building on the past’. One thing she said stuck with me, and that was ‘what makes communities worth visiting isn’t their specialness, but rather their specificity’. She talked about finding what you have of value in your community that no other community has (such as the seven seasons of Fogo island) and making it work for you. I think that Kings County is starting to do this, but there is much more work to be done, particularly in the cultural sector. When I was working on the Cultural Mapping project in Kings County, there were many people that immediately saw the value in cultural development, but I was amazed at how many people, especially those in powerful positions (read: where the money is), did not see culture as a viable or lucrative industry. If you ask me, culture IS Kings County’s industry. The farmers markets, fair trade cafes, open mics, community theatre, performing arts series, wineries, world class cuisine, Slow Food Film Festival, Deep Roots Music Festival, Apple Blossom festival, pumpkin people, ghost walks, galleries, studios, Ross Creek Centre for the Arts, Acadia University, heritage trails and museums, Grand Pre UNESCO site – this is what we have to offer to the world. My goal, moving forward, is to encourage Kings County to develop a cultural strategy that supports innovative thinking and creative community development. This needs to involve the municipalities, the schools, the cultural organizations and facilities, and the arts council. I will take inspiration from those small towns that think big. If Georgetown, a town of 700 people, can support a 300 seat world-class theatre, then surely Kings County can make steps towards becoming a world-class cultural destination. WHAT: A 'Paint-In', a gathering of local Artists with a Gallery Showing & Sale of their work for the general public. A chance to meet and view the artists while they work is an added bonus! WHO : A variety of Artists from our region and the general public. WHY : To view a wide range of original art and artists, mediums, and styles. To find a new piece of art for your home or that special gift. You will also be encouraging and supporting the development of art and culture in our area. It may inspire you to give it a try! Try the silent auction on wet paintings during the day. 1. Only original art work will be displayed and sold. 2. All paintings will be registered/priced and signed in/out upon arrival/departure; for view and sale at our gallery area, at Churchill House. 4. Sign-Ins will start at 9am on Sat. July 20th, with an Artist's supper at Churchill House at 6:00pm to end the day. 6. Artists are expected to paint on site. We will have some local gardens, historic buildings, and the waterfront for designated locations, and the public will be invited to view the artists at work. 7. Pre-registration MUST be received by July 5th, 2013 to confirm your participation. Sessions take place at the Acadia University Gallery Studio in the BAC, room 131 at 1pm-3pm. The fee is $10 per person. We are very excited to announce the launch of the Kings County Cultural Map, which will be held on the evening of February 6th! What: The launch will include an explanation and demonstration of the map, viewings of selected digital stories, and an opportunity to ask questions about the project. The Kings County Cultural Map represents culture in the area on an interactive, open-sourced, and community-driven map. The map includes places, groups, businesses, and stories that connect us to our cultural landscape. Culture in Kings County plays an important role in defining and enhancing our quality of life as well as developing economic sustainability in the region. The cultural map offers a ‘one-stop-shop’ for a full range of local cultural assets in every corner of the County. While the map gives the physical lay of cultural assets in Kings County, it also makes visible ‘intangible’ cultural assets such as stories and histories. These intangibles are captured through a multimedia process of digital storytelling, whereby first-person narratives of local residents have been recorded and embedded into the map. These stories focus on the impact of local arts practices and cultural activities, and look at the role local residents play in creating a vibrant cultural milieu. Here's your chance to learn a variety of techniques in a variety of different mediums!! Don't miss this fantastic opportunity to learn something you've always wanted to try, or to learn a different approach to a very familiar medium. The classes are two hour sessions and a truly inexpensive rate. Please join us for a series of four workshops on Mondays beginning on November 19th, 2012. 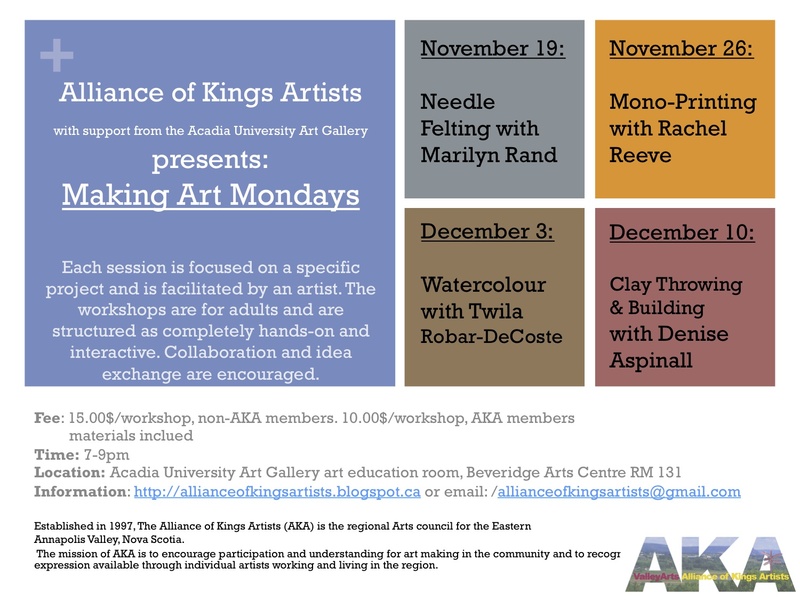 Making Art Mondays are a series of workshops presented by the Alliance of Kings Artists with support from the Acadia University Art Gallery. 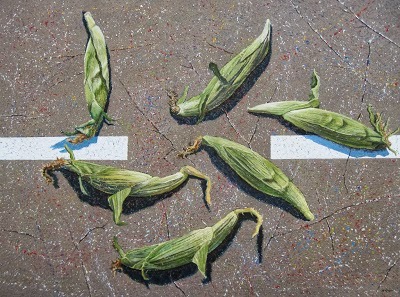 Each session is focused on a specific project and is facilitated by an artist. The workshops are for adults and are structured as completely hands-on and interactive. Collaboration and idea exchange are encouraged. Fee: 15.00$ per workshop for non-AKA members. *Fee covers the cost of workshop and materials. Registration: Sessions are drop-in. Payment to be submitted at door. Be sure to arrive 15 minutes before! In this class participants will learn to create pictures using dyed wool fibre on a wool cloth surface. We will also touch on some sculpting methods for three dimensional figures. Students should bring their own scissors and notebook. If you have a picture of a scene that you would like to try, bring it along. Extra felting kits will be available to purchase at $12 and $15. They are a great natural material Christmas present for your creative friends. Facilitator: Marilyn Rand is a textile and visual artist. Marilyn lives in Delhaven and raises Cotswold sheep and, angora goats to provide the raw material for her work. Facilitator: Rachel Reeve holds an Interdisciplinary BFA from NSCAD, she has been teaching art to all ages in the Annapolis Valley for six years. In this workshop we will explore the qualities of watercolour painting that allows us to create moodiness and expression. Demonstrations and exercises will show participants how to create depth in a simple landscape painting. This workshop is designed as an introductory experience to clay. There will be a demonstration on the potter’s wheel followed by a short time for each participant to experience working or 'throwing' on the wheel. Some hand-building techniques, such as coil and slab will also be demonstrated to keep us busy in between. If you can bring a rolling pin that would be helpful! Facilitator: Denise Aspinall has been a production potter in the Annapolis Valley for over 30 years. The Aspinall Pottery is a working studio located in Canning and open to the public, specializing in functional porcelain cups , bowls and platters with her distinctive handpainted 'loose leaf' design. Upon graduating from Acadia she gained experience in clay at the Minas Potters Guild in Wolfville, followed by an apprenticeship at Meat Cove Pottery in Northern Cape Breton, then returning to the valley to open her own studio. The pottery is available locally every Saturday morning at the Wolfville Farmers Market, Saunder's Tartan's and Gifts, New Minas and Gaspereau Winery . ©Alliance of Kings Artists. Simple theme. Powered by Blogger.